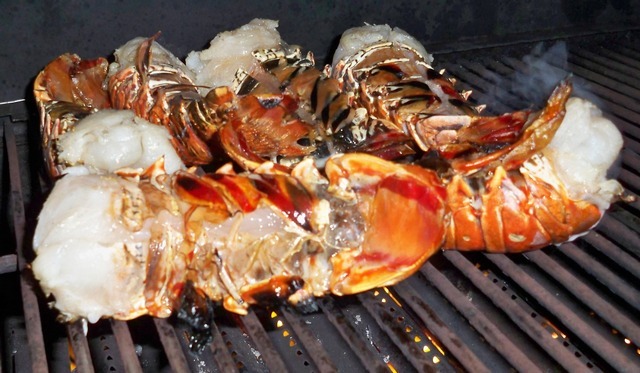 Lobster made on your grill is a mouthwatering treat! This is a simple and delicious way to enjoy a healthful gift from the sea. 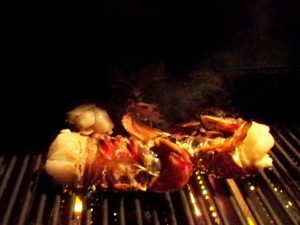 Prepare your gas grill for direct grilling, medium-high heat. If you are using coals, prepare the coals until a white ash forms and you can hold your hand over the coals for 4 to 5 seconds. 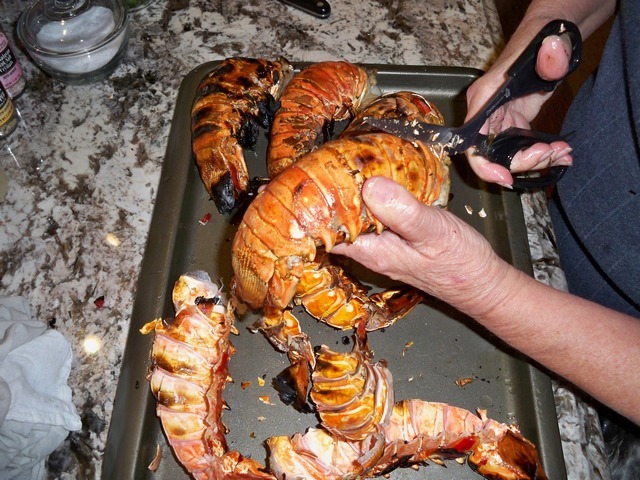 While the grill is preheating, prep your lobster. 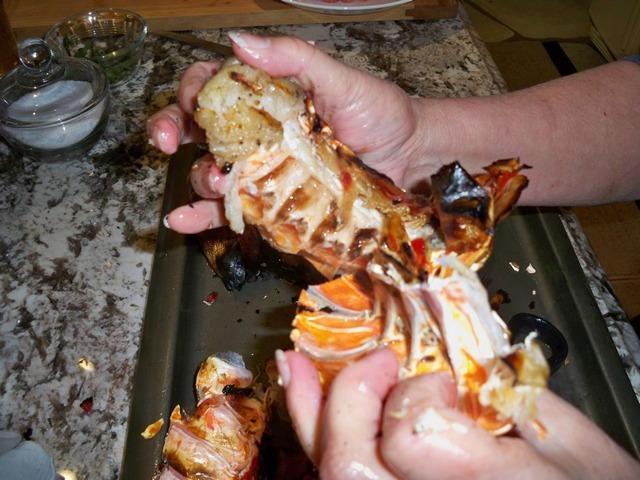 Take a strong pair of scissors or kitchen shears and cut the underside (the softer side) of the lobster shell as shown in the photo, cutting through only the shell, not the flesh, from the cut end to the fins. Place your prepared lobsters on a tray and drizzle with the olive oil, coating both sides. 3. 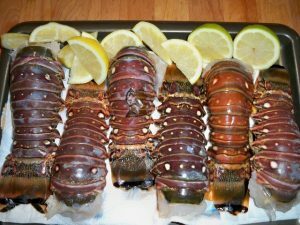 Place lobster, cut or soft-side down on the preheated grill and cook for about 2 to 3 minutes, or until the lobster just starts to curl. 4. Turn the lobster over and continue to cook on the other side until a soft curl starts, about 2 to 3 minutes longer, according to the size of the lobster. REMEMBER!!! 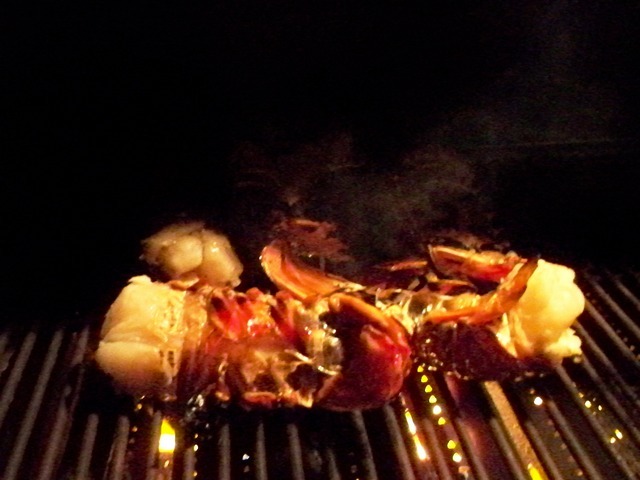 If the lobster curls too tightly, it will be overcooked and become tough. 5. Once the lobster is cooked, place on a tray and cover with aluminum foil for about 2 minutes. 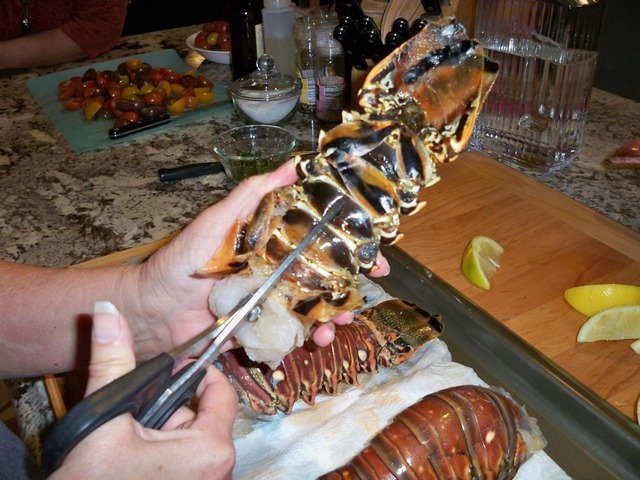 This will allow the lobster to steam and make shell removal a lot easier. 6. 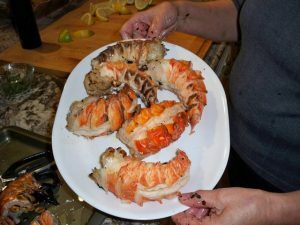 To remove the shells for your guests, simply cut the top side with kitchen shears and peel away the shell halves, exposing the tender and juicy lobster meat beneath! Serve with your favorite dipping sauce. A simple garlic-butter is delicious or if you are watching your fat intake, just serve with lemon, lemon pepper or use a butter substitute.